Our non-slip driveways give a new look ! Hi! I'm Miranda, let me help you find your new driveway material for you. 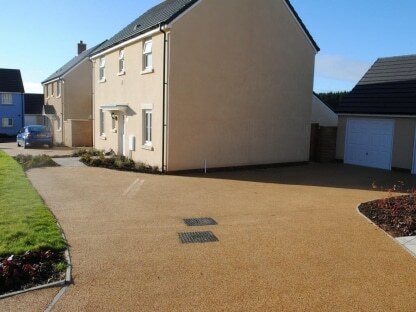 Our resin bonded and bound driveways provide anti-slip surfaces on our nation’s roads and motorways, the idea and process of this surface have been modified to fit into residential areas quite seamlessly. Resin bonded systems are most suitable for non-slip areas, or where a rustic or heritage look may be desired. 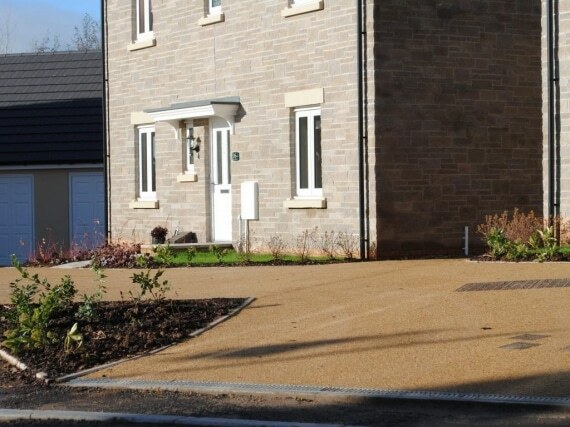 Your resin bonded surface can be customised with your choice of colours, textures and designs and will provide the attractive appearance of natural loose stone. Whatever your needs we can help. Each job at Thortech is treated individually to create your desired effect and meet its purpose. Whatever style, design, or colour we can help. 800sqm completed successfully for Randalls Groundworks during August 2012.